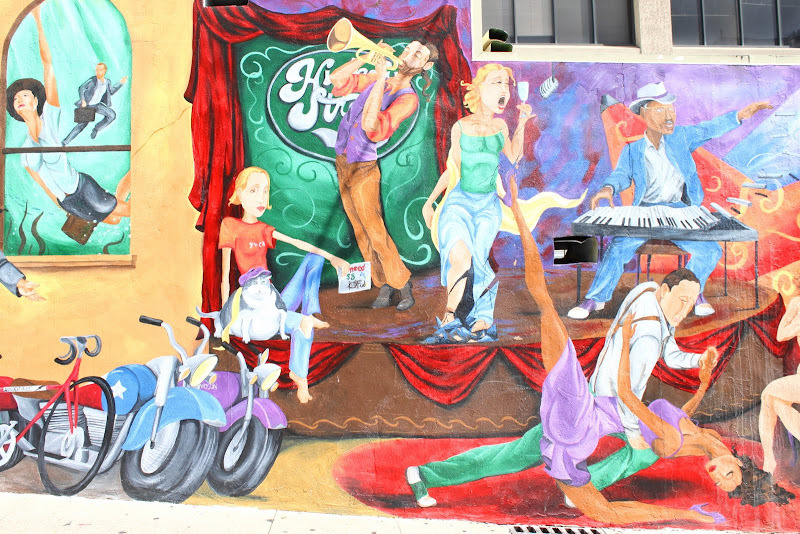 today's wall wednesday wall comes from austin the self-proclaimed live music capital of the world! for me there is nothing like listening to music live - thinking of holmes' quote, live music is definitely both a bath and a balm to my soul. this week is going to be particularly restorative - we started the week monday immersed in the melodies of natalie merchant and will end awash with the music of donal o'shaushnessy! Oh, Paul's a Libra. That makes sense. I love the delightful notion of taking a music bath! Where is that mural? It's so wonderfully exuberant. There is a great music store in Austin called Waterloo Records. Whenever I'm in Austin, I always pay it a visit . . . and I seem to have spectacular luck, because they almost always have live music and kegs of Shiner Bock on tap when I drop in. I'll see if i can find donal o'shaushnessy on Spotify. I just discovered a great Irish singer called Damian O'Kane. I'm partial to an Irish muscial bath. p.s. Thanks for your comment on Freedom. You are the only person I've come across who's read it so far. bee - the mural is in downtown austin, I think I took it when I was walking north on congress toward the capitol - the mural (which this is just a piece of) is on one of the numbered streets, north of pecan (6th) I'm pretty sure. love waterloo records! I call the section of town with waterloo records the most dangerous place for me in austin - as right across the street is book people and if that isn't enough next to book people is an r.e.i. and then of course across from that complex of places to lose one's money is the mothership of all whole food stores!! surprised I'm the only person who has read freedom so far - I thought it a captivating read! Hmmmm... I think I must be in a perpetual music bath. Can you believe Paul's 69? That totally blows my mind! I've been listening to his music since Wednesday Morning 3 AM; heck, we even used to sing Simon & Garfunkel songs around the campfire on Boy Scouts camping trips (Gary Offutt had all the songbooks, and all of us with guitars would gather 'round). Great video. I posted one today, too, but I went back to the old days.